As Dallas continues its strong momentum forward with one of the highest levels of retail construction in the nation and proportional absorption rates, JLL stands poised to answer growing demand for retail investment sales expertise in the North Texas market. JLL today announced the firm has hired industry veteran Adam Howells to lead its retail capital markets practice in Dallas. Howells joins the firm as a Managing Director, partnering with JLL’s Capital Markets leadership in the market including real estate investment banking Managing Directors Randy Fleisher and Tim Jordan to strengthen the firm’s retail investment sales client service offerings. In addition, the firm has also hired Jace Hinderland as a Vice President. 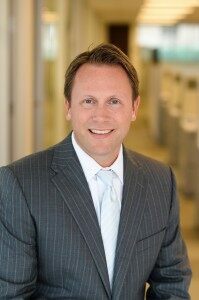 Howells and Hinderland will also work closely with Managing Director Clay Smith, who leads the firm’s Retail Brokerage practice in Dallas. The hiring of Howells and Hinderland comes just one month after JLL added Naveen Jaggi as President of JLL’s Retail Brokerage. The firm also has retail investment sales experts in Houston, the Northeast, the Southeast and the Midwest. Howells has more than 22 years of experience in real estate investment sales, and most recently, served as Managing Partner of UCR Investment Sales. He has completed more than 12 million square feet of retail sales, valued at more than $2 billion, during his career. Prior to joining UCR, Howell was a Managing Director at a competing brokerage firm for more than a decade. He received his Bachelor of Business Administration degree in real estate finance from the University of North Texas. Hinderland also joins JLL from UCR Investment Sales, with expertise in all retail product types including sale-leasebacks and joint-venture assignments. Prior to UCR, he was an Associate Vice President with Rockwood Real Estate Advisors, as well as a competing brokerage prior to that. Hinderland received his Bachelor of Business Administration degree in finance and economics from Southern Methodist University. He is a member of the International Council of Shopping Centers (ICSC) and serves on the Convention Program Committee for Texas. Categories: Americas Retail, Investment and tagged Adam Howells, Dallas, Hinderland, Investment, JLL, retail.